The holidays can be a stressful time for some. While the kids are enjoying snow days and opening presents, you may be busy trying to manage holiday dinners, parties, and other important gatherings. But, how does your dog react to holiday stress? Your dog can become just as easily stressed out with the sudden change in routine. New people, strange other pets, and even new smells and sounds can all contribute. 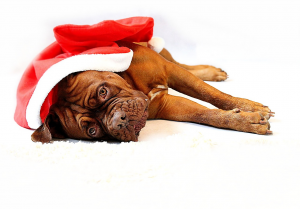 Find out how to recognize holiday stress in your dog, and what to do about it. How Do Dogs Show Stress? 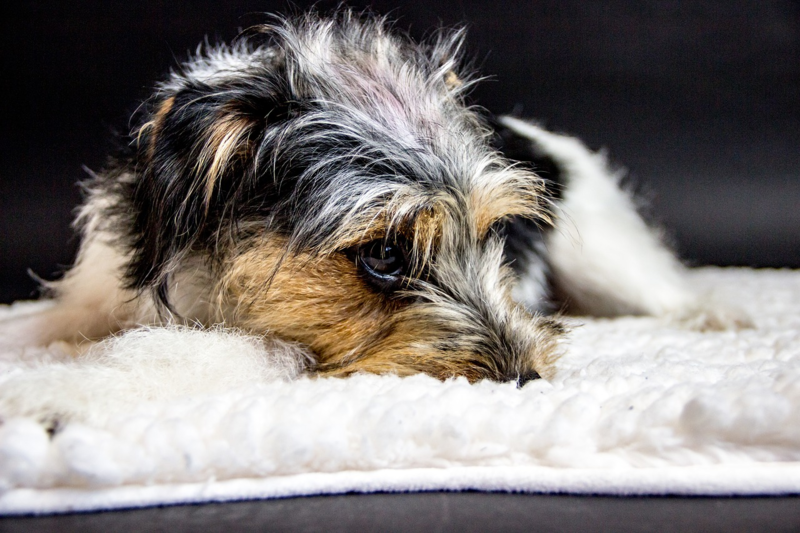 While each dog is different, there are some common signs of stress. Your dog may want to hide or withdraw from activity. They may lay down in a quiet room or hide in their kennel. Stressed out dogs may heavily pant or keep their ears pinned to their heads. They may be quicker to lash out with a growl or nip around strangers. Also, a normally happy dog may shy away from being pet. A very stressed dog may stop eating or drinking and want to hide at all times. Lots of things can cause holiday stress for your dog. 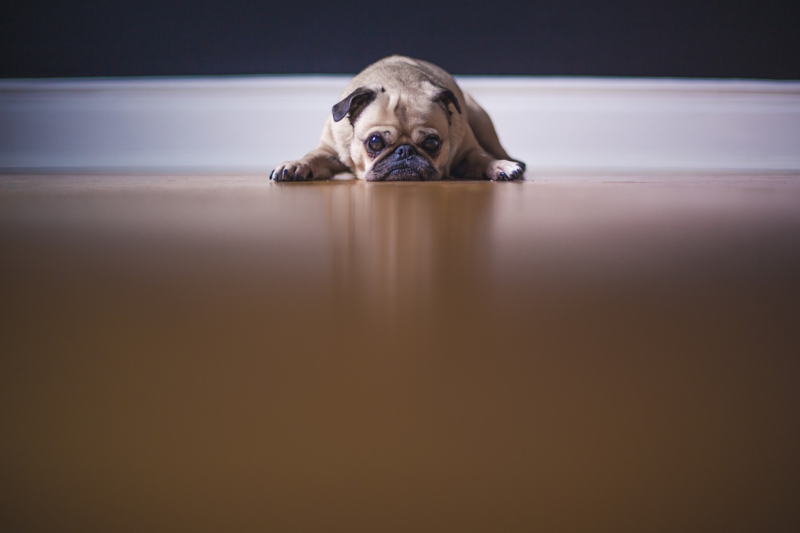 If your dog is under-socialized, new people or pets in the house can be a stressful situation. 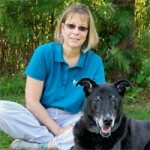 Schedule changes as you attend holiday parties or the kids are home from school can upset your dog’s routine. Small children trying to pet your dog, or family members that don’t know how to properly interact may make your dog feel uncomfortable. Strange smells from cooking, or loud noises in the kitchen can contribute to stress as well. 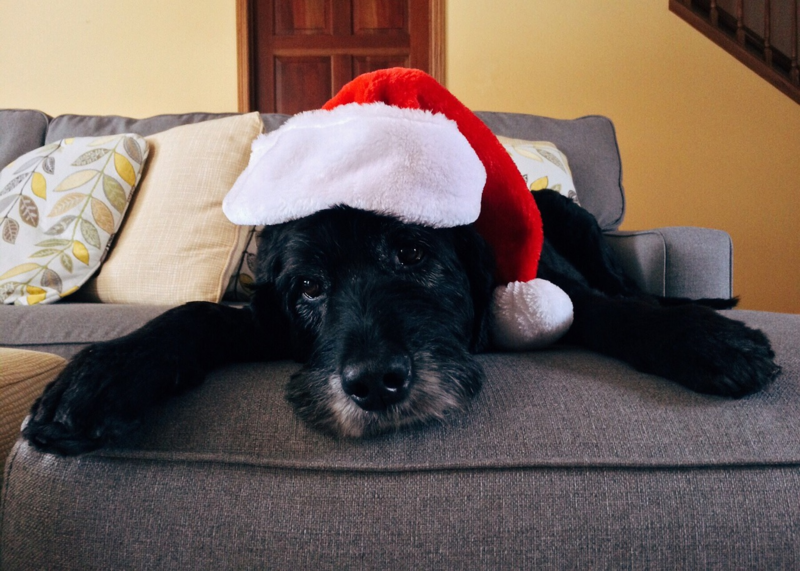 Luckily, there are a few things you can do at home to make the holidays easier for your dog. Make sure to have a room or kennel that is away from the main activity center. This gives your dog a place to go and relax without being bothered. Providing a toy or treat for your dog to focus on when guests are over or you’re away from home can help reduce stress and anxiety. Soothing pheromone diffusers and calming treats can help manage holiday stress and make the environment more enjoyable. 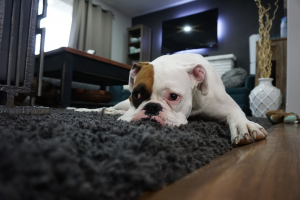 Sometimes, at home remedies are not enough, and the stressful situation could become harmful to your dog or your guests. If your dog is very fearful and stressed out even with home remedies, it’s a good idea to talk with your vet or a trainer. Training techniques to help desensitize your dog to over-stimulation or to help with socialization can make the situation less problematic for your dog. In extreme cases, sedatives or other anti-anxiety medications from your vet may help during the worst of the holidays. 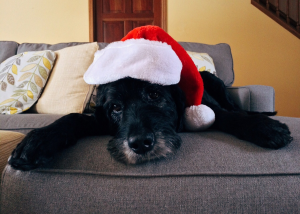 Holiday stress can affect more than just your human family members. Paying attention to your dog’s needs and body language can let you know if Fido is enjoying himself, or if he needs a little time to relax and wind down as well.